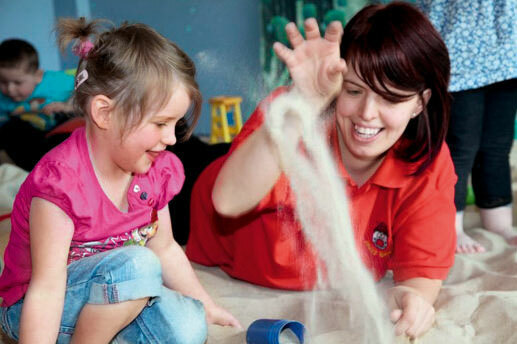 We showcase the excellent practice of early years settings that have earned the top grade in their Ofsted inspection. The inspector could hardly believe her eyes at the sight of the excellent practice throughout this nursery, reports Karen Faux. This nursery's staff already felt sure their practice was outstanding before the inspector arrived. They tell Karen Faux why. An unannounced and thorough inspection didn't faze the staff of this nursery, whose secrets of success are explained to Karen Faux. Neither staff nor children waited to be asked by the inspector how they felt about their outstanding nursery, says Karen Faux. Lively, child-led sessions and thorough self-evaluation by staff and parents impressed this pre-school's inspector, says Karen Faux. Grandpont Nursery, an outstanding nursery school with a children's centre, wowed the inspector with its strong teamwork ethos, says Mary Evans. Factors including staff recruitment and children's play choices figured highly in this nursery's inspection, as Karen Faux hears. A nursery awarded Outstanding in its very first inspection tells Karen Faux about how it is still developing its provision. A new series on early years settings that have gained an outstanding rating from Ofsted is launched by Karen Faux.